The added memory foam on the Orchid Mid Fill Softside Waterbed makes for the perfect combination of materials to ease back pain. 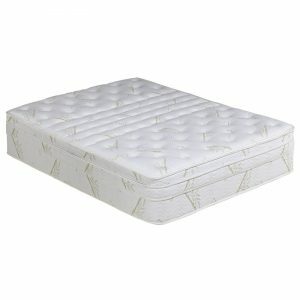 However, waterbeds can be an expensive cure for back pain so it’s important to find a mattress that is not over priced. Ordering online and direct from the manufacturer can offer great discounts, oftentimes with free shipping. For those who prefer hardside waterbeds, the Constellation Lumbar Ultra-Waveless is the best mattress for back pain. For those who prefer softside waterbeds, the Orchid Euro-Top Mid Fill Softside mattress has the added support of memory foam making it the best mattress for back pain.